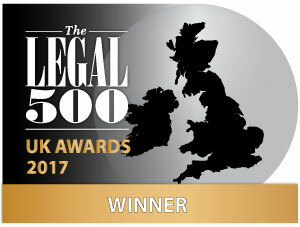 39 Essex Chambers is delighted to announce that it has been awarded Real Estate, Environment and Planning Set of the Year at the The Legal 500 UK 2017 Awards. The awards represent the very best law firms, chambers, silks, in-house lawyers, business leaders and general counsel operating within the UK market. The awards dinner will take place in February 2017.